About a month after getting over the flu, five-year-old Brysen Mills began complaining of leg pain. 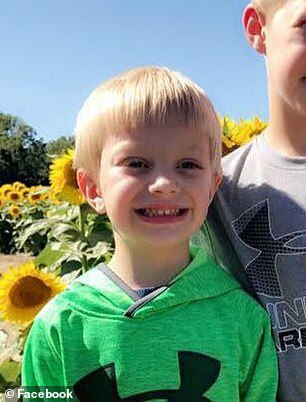 His mother, Lesley, didn’t think the two incidents were connected and assumed the kindergartner was just suffering from growing pains. 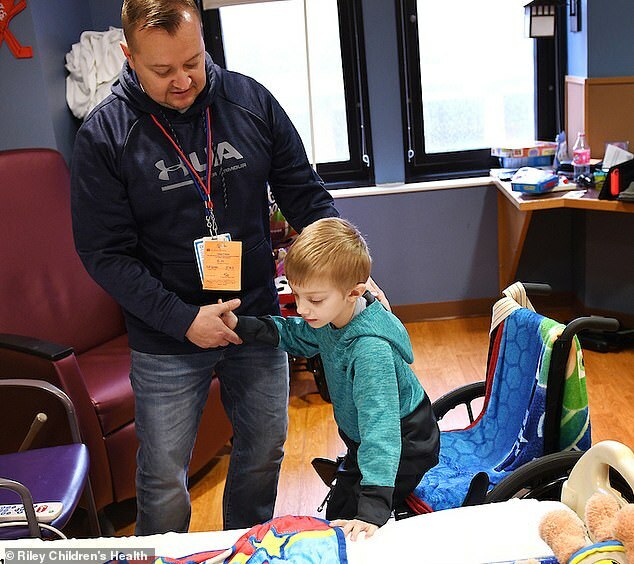 But in mid-January, when it got to the point that Brysen could not sit up or walk at all, Lesley rushed him from their home in Paris, Illinois, to his pediatrician’s office in Terre Haute, Indiana, reported the Indianapolis Star. When the pediatrician couldn’t figure out what was wrong, Brysen was taken by ambulance to Riley Hospital for Children in Indianapolis. MRIs, X-rays and spinal taps over four days produced no answers, until one neurologist asked if Brysen had been sick a few days before symptoms began. Lesley told the neurologist about the flu and stomach bug Brysen had contracted in early December. That’s when he was diagnosed with Guillain-Barré syndrome, a rare disorder often preceded by an infectious illness – and in which the immune system attacks the peripheral nervous system, paralyzing parts of the body. The exact cause of Guillain-Barré syndrome is unknown, but it is often preceded by a respiratory infection or a virus like the stomach flu. 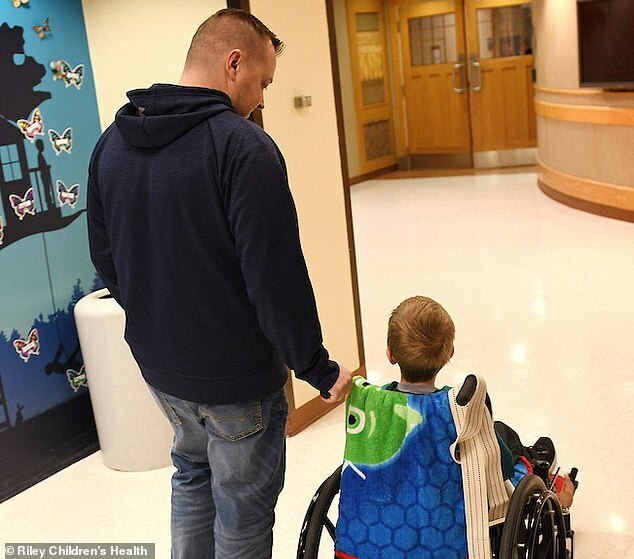 Dr Deborah Sokol, a pediatric neurologist at Riley Children’s, told the Indianapolis Star that the hospital sees about 10 cases a year. ‘What we know is that when there’s flu season, you can be sure we are going to see more cases of Guillain-Barré,’ she told the newspaper. Guillain-Barré syndrome (GBS) is a disorder in which your body’s immune system attacks your peripheral nervous system. Weakness and tingling in the extremities are the first symptoms. These sensations can quickly spread, eventually paralyzing your whole body. The exact cause of GBS is unknown. The disorder usually appears days or weeks after a respiratory or digestive tract infection. GBS is rare with between 3,000 and 6,000 developing the disease every year in the US, according to the CDC. There is no cure for GBS but treatment can reduce the disease’s severity and speed recovery. Guillain-Barré syndrome is rare, affecting about one in 100,000 people and fewer than 20,000 cases per year, according to the National Institute of Neurological Disorders and Stroke. After the first symptoms of Guillain-Barré syndrome, sufferers’ conditions usually worsen for about two weeks before plateauing around the four-week mark. The recovery period can last as little as a few weeks and as long as a few years, but about 30 percent of those diagnosed have a residual weakness after three years. Most who have Guillain-Barré syndrome make full recoveries, but some are left with tingling sensations in the arms and legs. According to the Indianapolis Star, Brysen spent most of his first week in the hospital curled up in a ball in his hospital bed. 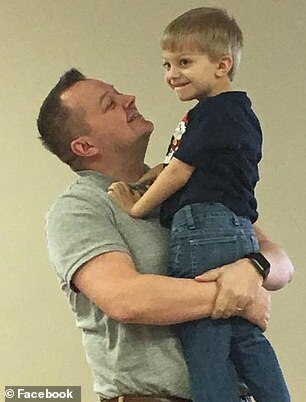 His father, Josh, was deployed with the Indiana Air National Guard in Qatar and received permission to end his tour early to return to his family. Brysen’s first step in treatment at Riley Children’s was to receive Intravenous Immunoglobulin Therapy (IVIG). When you have Guillain-Barré syndrome, the immune system produces harmful antibodies that attack the nerves. IVIG is a treatment made from donated blood that contains healthy antibodies to block the harmful ones from continuing their damage. According to the Indianapolis Star, Brysen was so weak that doctors feared they would have to put him on a ventilator to help him breathe. However, by the next day, the IVIG seemed to be working and the family was told he would now have to undergo rigorous physical therapy. Kristina Davey, a physical therapy at Riley Children’s, said that when she first began working with Brysen, he couldn’t sit up or walk. ‘He was so bent up, his knees and hips up tight in a ball, and he hated to be extended because it hurt,’ she told the hospital in an interview. 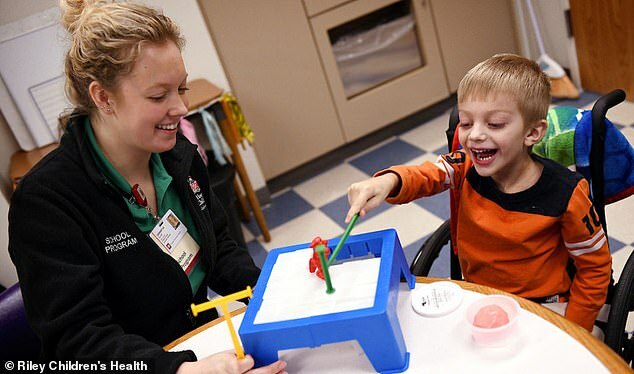 For three hours a day five days a week, the kindergartner underwent physical and occupational therapy. His parents also participated in the exercises, which included bouncing and kicking a ball, tapping his toes and walking. Within two weeks, Brysen was declared well enough to go home and back to school. His mother, Lesley, said he was particularly excited to be reunited with his two older brothers, ages nine and 15, who hadn’t been able to visit him in the hospital. Brysen will continue to undergo outpatient physical therapy at home and his expected to make a complete recovery. Buy Rap Beats – Are They Safe To Buy Online?